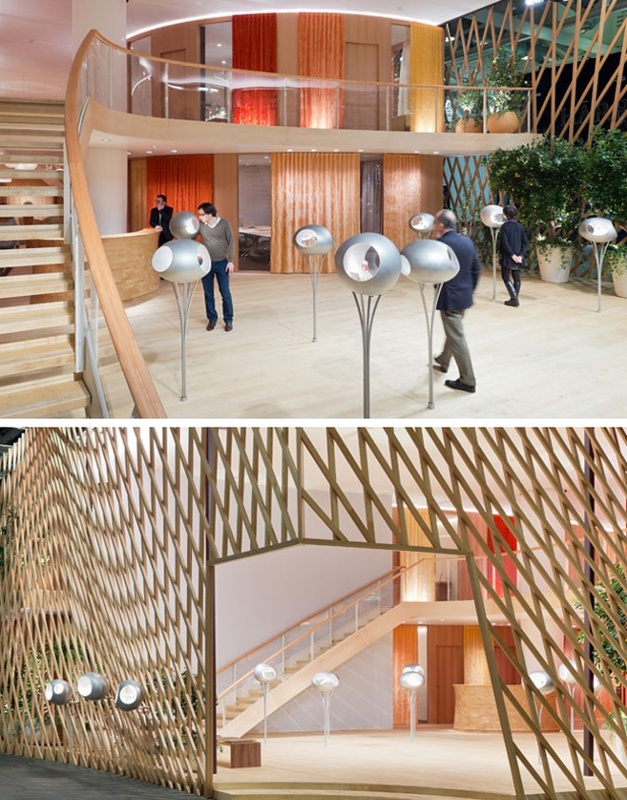 Hermès joined forces with architect Toyo Ito to create its BaselWorld 2013 pavilion located in the heart of the venue. Unveiled today, the structure was designed to reflect the brand’s fundamental values of craftsmanship, commitment to work carried out by hand with natural materials, and an appreciation of precision and innovation. Ito imagined a two-story box with steel framework and clad with 624 wooden strips, some straight, some curved. The interlocking slats form an outer mesh, covering the inter structure of wood, glass and metal. A staircase in wood and metal takes visitors up to the mezzanine which features naturally dyed fabrics and glass cases dotted around the edge of the room and displaying Hermès’ latest watchmaking creations. [Ito] is a man who is as meticulous, thoughtful and sensitive as he is wise – a genuine enthusiast who possesses a natural and gentle authority, Hermès Artistic Director Pierre-Alexis Dumas said. For him, silence is as meaningful as words. And his company, like Hermès, has remained small and adaptable.